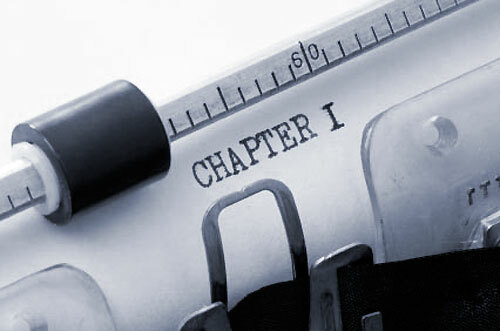 It’s November… Why Not Write a Novel? Have you heard? 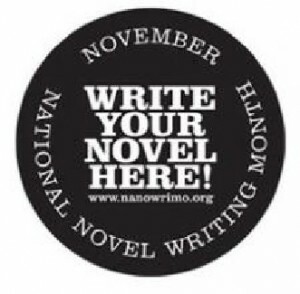 November is National Novel Writing Month, or NaNoWriMo, as it’s affectionately nicknamed. Writers around the world sign up on the Nanowrimo website (http://nanowrimo.org), pledging to write a 50,000 word novel draft in a month. This year more than 250,000 people have signed up for the task. I first heard about Nanowrimo in 2003. I had joined a supportive online community called Momwriters full of so many brilliant, creative women. As summer came to an end that year, the group started chattering about National Novel Writing Month—there was much excitement about who was going to give it a try, and what they would write about. It sounded fun… and crazy. In my mind, that’s often a good mix. I’d been in a writing class recently, creating a character that I really liked. I could try writing my novel about him. So I signed up, not really knowing what I was getting myself into. Like a good researcher, I combed the website for details and advice, and found that there were regional forums, and a good one for the Twin Cities. The local people were excited about write-ins and parties. I quickly caught on—Nanowrimo wasn’t just about the personal challenge of writing; it was a community event. Writers who so desire get together throughout the month to work on their novels at cafes or other meeting places, sitting at tables with laptops (or occasionally, notebooks and pens)—these are the write-ins. There’s a Kick-Off Party before the month starts so people can meet, socialize and talk shop, and there’s a TGIO Party (Thank God It’s Over) after November 30th to celebrate or commiserate. This social aspect really appealed to me. 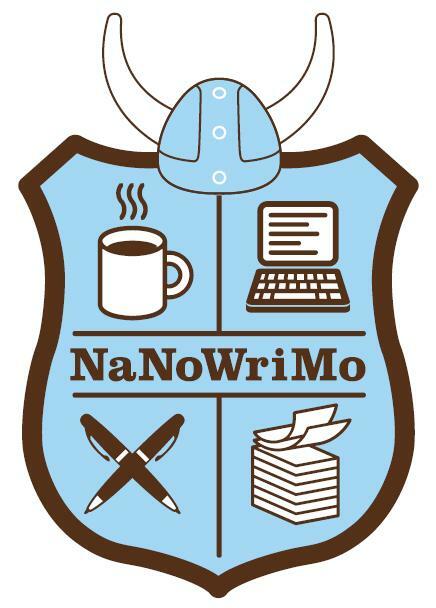 I like to say, Nanowrimo makes writing a team-sport for one month of the year—a nice change from the usual sitting-quietly-in-a-room-by-oneself that most writers do. It was definitely a challenge to write a novel that month. To make it to 50,000 words, you should shoot for writing 1,667 words a day, which is about 5-7 double-spaced pages. Back then my kids were ages 12 and 9, and everybody knew I was trying to write a lot. They were supportive, understanding about me wanting to go to write-ins when I could, cheering me on when I was rushing to make my goal that last day of November. It was such a great feeling that I really accomplished it, having a novel draft a lot further along than I ever thought I would in such a short time frame. Since 2003, I’ve participated in Nanowrimo every year, which makes this year my 10th. So far, I’ve hit my 50K goal seven times, and fell short of the mark two times. Over the years, I’ve made many Nano friends—there are some that I only see every November, and two friends that I’ve met through Nano have become “besties” I talk to and see often. That’s been one of the many great gifts I’ve received from doing this. I’ve also: been a co-ML for six years after Zan stepped down, taught classes with a friend on how to do Nanowrimo, been interviewed several times about this strange writing phenomenon for print, radio and video media, and had a chance to meet and talk to Nanowrimo founder Chris Baty, who started all this in 1999 by deciding to write a novel in a month and finding 20 friends to do the same. He’s hilarious, humble and adorable. This year, I’m not sure I’ll make it to 50,000 words. It’s been a tough time with a family crisis, a trip, and lots of time spent helping my son who’s a senior in high school to meet deadlines. I haven’t been able to attend more than a few write-ins. But I’m committed to continuing to write this novel, even if it’s only a little at a time. Nanowrimo is still inspiring me, and I’m still a part of it. I’m encouraged to know that many Nano novels have been published, including Sara Gruen’s “Water for Elephants” (now a major motion picture) and Erin Morgenstern’s “The Night Circus” (soon to be a major motion picture). As Thanksgiving looms, Nanowrimo is one of the many things I’m grateful for. Thanks for being such a fun, creative, big-hearted cheerleader of an organization. This writer saluted you!